Regardless of age level, experience, location, and the ability of the choir, it is inevitable to make mistakes in choir concerts as directors. It is essential to learn from these mistakes and help the choir reach their full potential. If the singers are not performing to their full potential, it is essential for the director to give them easier music or take a closer look at their preparation for the music. If the rep is too much, then the excellence and the artistry will suffer. Directors should think about who the song is serving. Choir directors should prepare often and early. You can easily know when you have prepared enough for the performance. Directors should check with every member of the choir to ensure that they are ready for the performance. 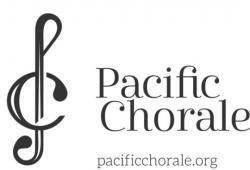 If you ever see the Pacific Chorale and Pacific Symphony Orchestra perform then you will learn about the importance of letting the choir own the music. The choir should take responsibility for how they sing. As a director, you are not responsible for everything the choir members do. Try to listen to how they are singing. Hold them accountable when you give them feedback. Praising them for their growth will also encourage them to perform better in upcoming concerts. The choir is the most important, so make sure you focus on it and make direct contact. You can glance if you need to but never forget to keep eye contact with the choir. During a choir concert, it is important to let the choir sing. You may be tempted to stop it every time you hear something that doesn’t please you. It is recommended to take notes and deal with issues later rather than stopping the choir.